The Transnational Literature Series Presents Immigrant Prize Winner Grace Talusan. The Restless Books Prize for New Immigrant Writing began in 2016 as a response to rising xenophobic trends. The Prize celebrates immigrants’ contributions to culture by awarding $10,000 and publication to a debut work by a first-generation immigrant, alternating yearly between fiction and nonfiction. 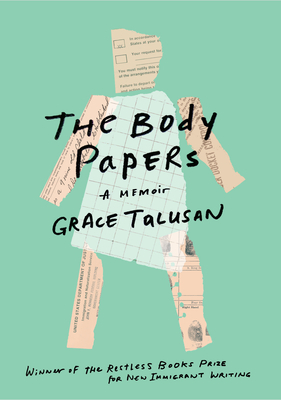 Join the first nonfiction winner of the Immigrant Writing Prize, Grace Talusan, with both Prize judges, Anjali Singh and Ilan Stavans, as they discuss Grace’s brave and searching memoir, The Body Papers, on May 23rd as part of Brookline Booksmith’s Transnational Literature Series. Grace Talusan was born in the Philippines and raised in New England. A graduate of Tufts University and the MFA Program in Writing at UC Irvine, she is the recipient of a U.S. Fulbright Fellowship to the Philippines and an Artist Fellowship Award from the Massachusetts Cultural Council. Talusan teaches the Essay Incubator at GrubStreet and at the Jonathan M. Tisch College of Civic Life at Tufts. She is the Fannie Hurst Writer-in-Residence at Brandeis University for 2019-2021. The Body Papers, winner of the Restless Books Prize for New Immigrant Writing, is her first book. The Body Papers begins when a young Grace Talusan arrives in a New England suburb in the 1970s. At school, she confronts racism as one of the few kids with a brown face. At home, the confusion is worse: her grandfather’s nightly visits to her room leave her hurt and terrified, and she learns to build a protective wall of silence that maps onto the larger silence practiced by her Catholic Filipino family. Talusan learns as a teenager that her family’s legal status in the country has always hung by a thread—for a time, they were “illegal.” Family, she’s told, must be put first. The abuse and trauma Talusan suffers as a child affects all her relationships, her mental health, and her relationship with her own body. Later, she learns that her family history is threaded with violence and abuse. And she discovers another devastating family thread: cancer. In her thirties, Talusan must decide whether to undergo preventive surgeries to remove her breasts and ovaries. Despite all this, she finds love, and success as a teacher. On a fellowship, Talusan and her husband return to the Philippines, where she revisits her family’s ancestral home and tries to reclaim a lost piece of herself. Not every family legacy is destructive. From her parents, Talusan has learned to tell stories in order to continue. The generosity of spirit and literary acuity of this debut memoir are a testament to her determination and resilience. In excavating such abuse and trauma, and supplementing her story with government documents, medical records, and family photos, Talusan gives voice to unspeakable experience, and shines a light of hope into the darkness. Grace will be in conversation with Anjali Singh and Ilan Stavans, judges for the Restless Books Immigrant Prize in Nonfiction. Anjali Singh started her career in publishing in 1996 as a literary scout. Most recently Editorial Director at Other Press, she has also worked as an editor at Simon & Schuster, Houghton Mifflin Harcourt and Vintage Books. She is best known for having championed Marjane Satrapi’s Persepolis after stumbling across it on a visit to Paris. She has always been drawn to the thrill of discovering new writers, and among the literary novelists whose careers she helped launch are Chimamanda Ngozi Adichie, Samantha Hunt, and Saleem Haddad. Some of her editorial non-fiction projects include Baz Dreisinger’s Incarceration Nations, Diana Abu-Jaber’s The Language of Baklava, Kathy Rich’s Dreaming in Hindi, Minal Hajratwala’s Leaving India, Nuha al-Radi’s Baghdad Diaries, and Igort’s The Ukrainian and Russian Notebooks. She is currenly a literary agent at Ayesha Pande Literary, where she recently sold the YA graphic novel, Jabs by Sherine Hamdy and Myra El-Mir, the coming-of-age story of a Muslim-American girl, to Dial Books for Young Readers. She is a member of the International Committee of the Brooklyn Book Festival.